"Twitter is one of the fastest ways to find out what’s happening in global business and financial markets and to engage in the live commentary about it. Partnering with Bloomberg will give people on Twitter the best way to see live financial markets performance, combined with the live commentary on the underlying drivers and implications." So, the social media lens has been slowly molding to the point where we're actually using it as a part of a democratic debate. Weird, but cool. Here's another example: earlier this year in the U.S., Snapchat tried to legalise the use of cameras in the voting booth. Snapchat's Amicus brief is super interesting for looking at the argument for social media's segue into a more serious form of news and its place in democracy. If this is the primary way people communicate and receive news, then this can be considered a restriction on expression. However trivial the concept of a selfie is, it's being used as the 21st century way to express yourself. If you impede freedom of expression then you're in breach of the First Amendment. "ballot selfies and similar digital information-sharing are important ways that younger voters participate in the political process and make their voices heard." "the flimsy speculation that the State has offered in support of its ballot-selfie ban cannot survive First Amendment scrutiny." 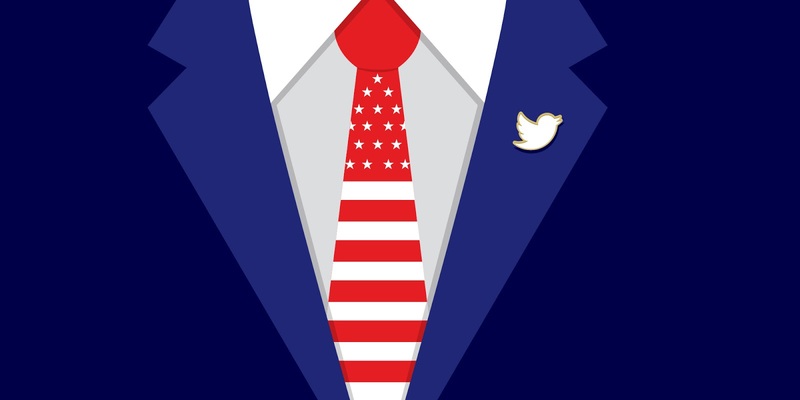 Twitter's live stream of the debate is to follow a similar format to their NFL live coverage on Thursday night. The NFL said that the average audience size watching the game on Twitter was 243,000 people with an average watch time of 22 minutes per viewer. The presidential debate will likely reel in a much bigger audience. This is the new way of communicating. The evolution of new word of mouth. I mean, we knew that for a while but this is on a whole other level. The boy on the street corner who would yell out the news to sell his paper for a penny, has evolved into a billions of people on every street corner beckoning their own interpretation of the news through the lens of their Snapchat filter or the litany of hashtags.